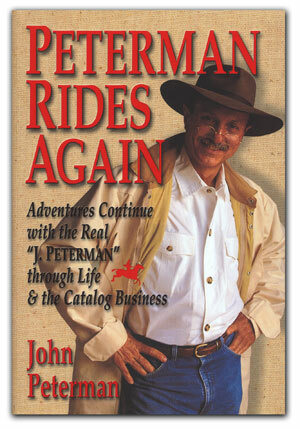 I recently finished reading the autobiographical novel, Peterman Rides Again, by John Peterman. Many, if not most of us, probably remember J. Peterman as the infamous character from the classic sitcom, Seinfeld. Prior to discovering this book I never realized that there was and is a real J. Peterman and he really did have a catalog business whose distinguishing characteristics included rare, difficult-to-find-elsewhere items, literary descriptions of the items for sale, and watercolor and pen-and-ink illustrations of the items in place of photographs. They called the catalog The Owner’s Manual. 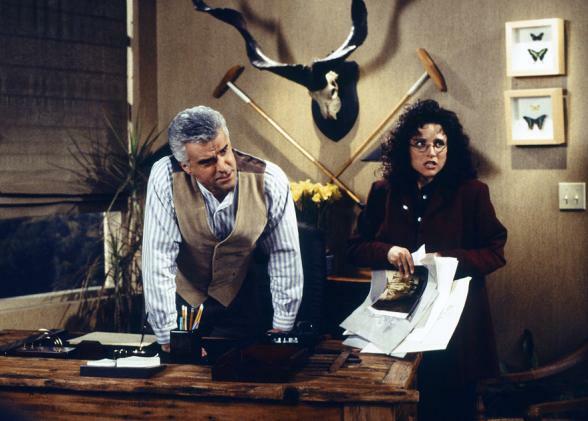 After reading the book, I have to say that I like the real J. Peterman even more than his outsized fictional character on Seinfeld, played by the brilliant actor John O’Hurley. He was one of Elaine’s crazy bosses and a favorite character on the show. Their first product was the original horseman’s duster, the full-length leather coat – sort of like a cowboy’s version of a trenchcoat – that has become his hallmark. He is wearing it in the picture on the cover of the book above. He got so much interest in his personal duster, that he began to source the materials required for making one, and another vendor to sew it all together, and the J. Peterman Company got off the ground. Eventually he expanded into other products, traveling abroad to personally shop for rare and interesting items that he could sell through the catalog and later through retail stores and the Internet. Running a catalog business is a tough game, and they ended up being leveraged to the hilt. After a couple of tough quarters of sales and a financing deal gone wrong, they were forced into bankruptcy in 1999. The company’s assets, along with the brand name, were sold at a bankruptcy auction. Later, in a truth is stranger than fiction twist, the company who purchased the company also went bankrupt, and John Peterman, along with the help of actor John O’Hurley as an investor, was able to re-purchase the rights to his brand. The company is back in business today. The book is well-written and is fun to read. From a critical standpoint, I would say that the book contained a lot of interesting information about the business aspects of running and growing his business. He is introspective and self-critical, personal traits that are very near and dear to my heart. He is honest about the things that made the company great, as well as the mistakes that were made and the lessons learned. I loved that he has selected certain inspirational quotes from many famous people like Helen Keller and Winston Churchill, which kick off each new chapter. One of the most prescient quotes is from a French poet named Paul Valéry, who said, “One cannot change the size or quantity of anything without changing its quality.” Truer words were never spoken, and certainly this applied to the J. Peterman company in its heyday. The same principals of running the business as a family business eventually crippled their operations and contributed to its initial demise. 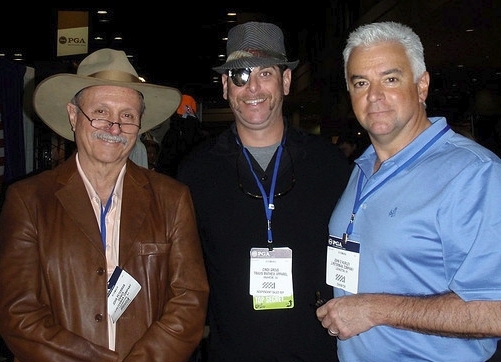 John Peterman on the left, actor John O’Hurley on the right, with a fan in the middle. I highly recommend this book. It is an entertaining and enlightening and inspiring read.